"This is MY son. 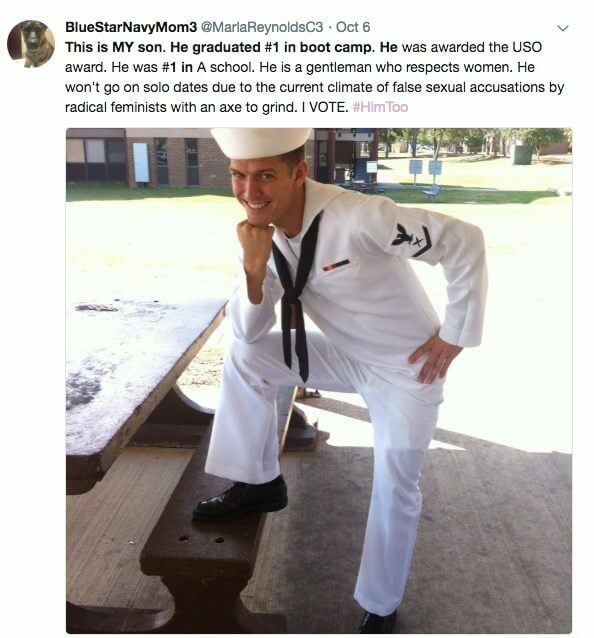 He graduated #1 in boot camp. He was awarded the USO award. He was #1 in A school. He is a gentleman who respects women. He won't go on solo dates due to the current climate of false sexual accusations by radical feminists with an axe to grind. I VOTE. #HimToo." How Did Twitterverse React to the Viral Tweet?